Our work environment offers employees a place to grow and learn. As we grow, we have provided opportunities for employees to work across town, across state lines, across the country and across the world. It is indeed an exciting time to be a Sunbelt Supply employee. We offer career opportunities in geographies of high concentrations of refining and petrochemical customers. We target experienced and knowledgeable candidates with strong reputations in pipes, fittings and flanges and valves and valve automation. We have career opportunities in sales, branch management, warehouse operations, supply chain management, sales support and administration. Experienced candidates enter positions commensurate with their work experience and qualifications. While other candidates join us in entry-level roles in warehouse operations, sales support and administration and through hard work and dedication, may progress to staff/senior professional roles and supervisory and management roles. 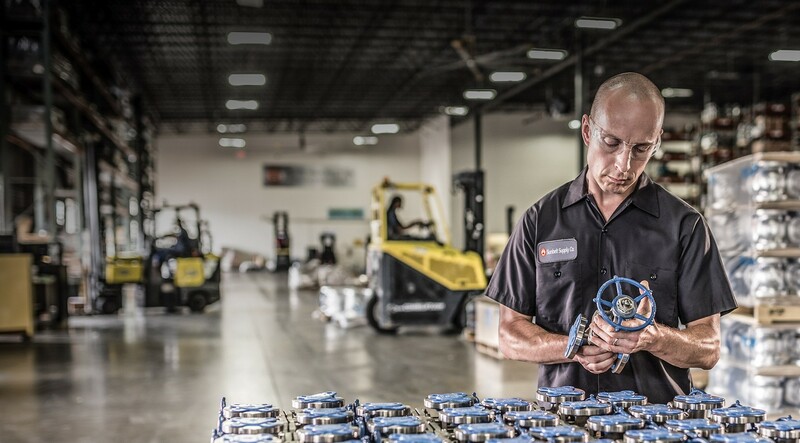 Our experienced and knowledgeable staff offers both domestic and international valve solutions fo: upstream, midstream, and downstream industrial flow applications.